You are here: Home / Uncategorized / Spring watch. BBC’s Springwatch has returned to Ynys Hir again this year. The cameras and cabling are in place and we are hoping that there will be lots to see on the RSPB reserve this year. 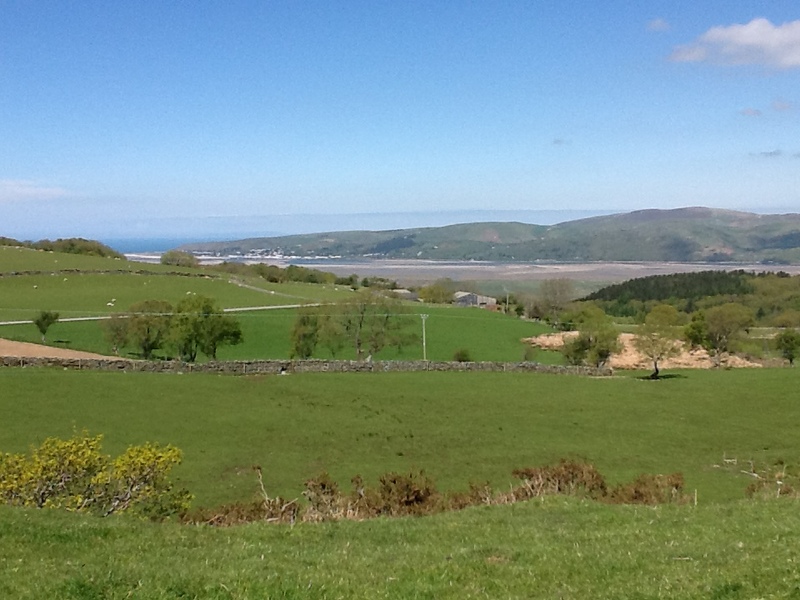 On a walk above the Dyfi Estuary yesterday we heard and saw a cuckoo, walked through sunny glades filled with the heady scent of bluebells and were rarely out of sight of Cardigan Bay. Part of our walk linked up with the new Wales Coastal Path, which is really well sign posted. If you are interested in walking some of this route, Machynlleth is a good place to start or finish the stretch south to Aberystwyth or north to Tywyn. We are happy to arrange baggage transfer and take you to your starting point. Montgomery Wildlife Trust has a number of reserves local to us and they frequently run events throughout the year. Check our their website for details.